Ah, yes, the chrysanthemum. One of the best and, I think, underrated of all the fall flowers. 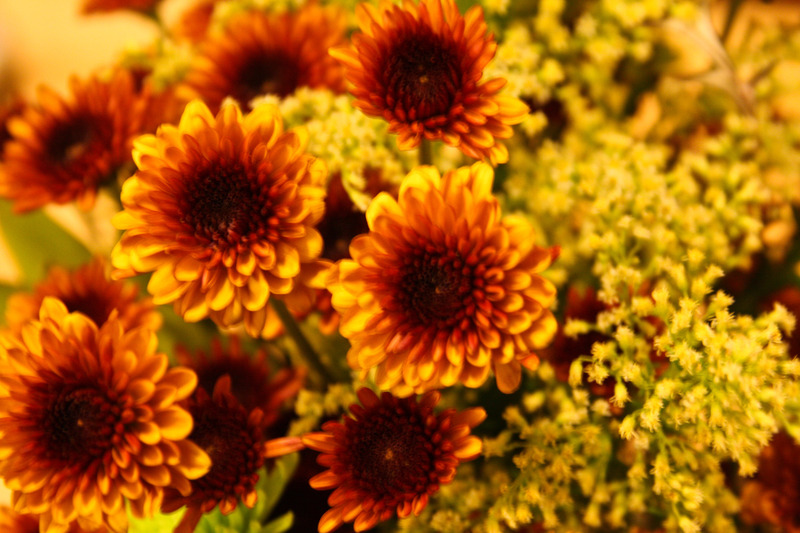 Mums bloom into late September and early October and provide a fantastic autumnal pop of color. When they are in season, mums can be a great addition to any garden or flower arrangement, and, as an added bonus, they are often quite inexpensive. 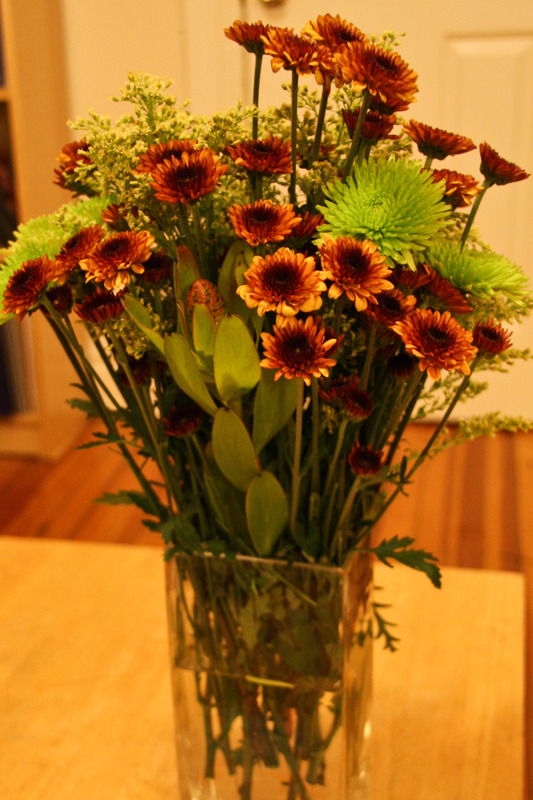 I bought a bouquet of mums from my local grocery store for less than $5, and I used it to supplement another flower arrangement that was starting to fade. 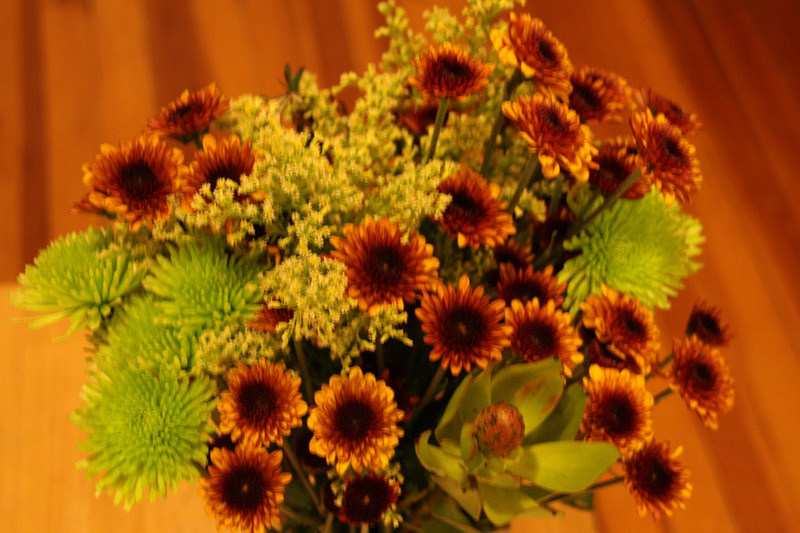 These burnt sienna mums provided a great contrast to the green flowers that I already had, and they allowed me to make the original bouquet last even longer. 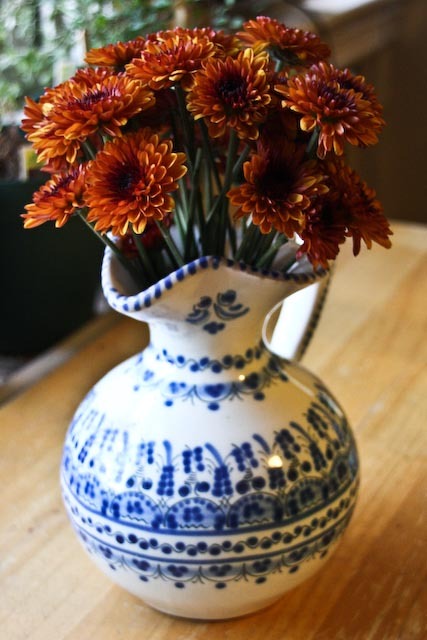 Mums are a simple, economical way to add a bit of color to your table during the fall season. Mums also last forever. About 2 weeks after I added the mums into the arrangement up top, I was able to pull out the mums (the rest of the bouquet was pretty much dead), and put them into a smaller arrangement, which will probably last another week or so. Fabulous!